Balancing Stick, the longest 10 seconds of your life… or is it? Learn to love this pose and your spine will be forever grateful! As with all our postures, setting them up and moving in and out of them maintaining alignment is just as important as what we do while we are in them. Feet together, toes and heels in one line. Weight equally distributed through both feet. Bring your arms over your head sideways until your palms are together. Interlock your fingers and release your index finger. You arms should be touching with your ears, throughout this posture from beginning to end. Engage your arms, actively press your palms together, locking out your elbows, so your arms are straight, no gap between your arms and head. Keep your chin up and eyes focused forward at one point in the mirror. Lean back very slightly in the set up to open your chest. Engage both legs, tightening your quadriceps and locking both legs out. and pulling up on your pelvic floor. Inhale and step your right leg forward. This should be a large step. Transfer your weight into your right foot and begin to lift your left leg off the floor, pointing your toes. Simultaneously, bring your upper body forward with your arms fully engaged by your ears and your legs solid, concrete locked out. The goal is to bring the upper body down and stretch the left leg back, until your whole body, arms, head and left leg are all parallel to the floor. As you are building strength and gaining flexility, you may be more umbrella then T, but always keep that T in your minds eye. Picture yourself in the perfect posture and one day you will be! – Keep your chin forward, anchoring your eyes to a spot that is approximately 4ft away from your weight bearing foot. This helps you to balance. – Continuously stretch your body forward, trying to touch the mirror. – Focus on your core and your balancing leg, as they provide a firm foundation. – Keep your arms locked out and next to your ears. Shoulders down and away from your ears, press your shoulder blades down and together, whilst squeezing the arms to the side of the head. – Keep the hip of the stretching leg down, hip bone facing the floor. – Feel the power from your finger tips to your pointed big toe, stretching apart. – Remember to breathe. Breathe in and out through your nose for the entire posture. Never hold your breath, it will not help! – Continuously stretch your body forward, trying to touch the mirror, all the while stretching your left leg back though the pointed foot. Every muscle in your body contracted, you are solid and strong. Body Down, leg up, body down, leg up. 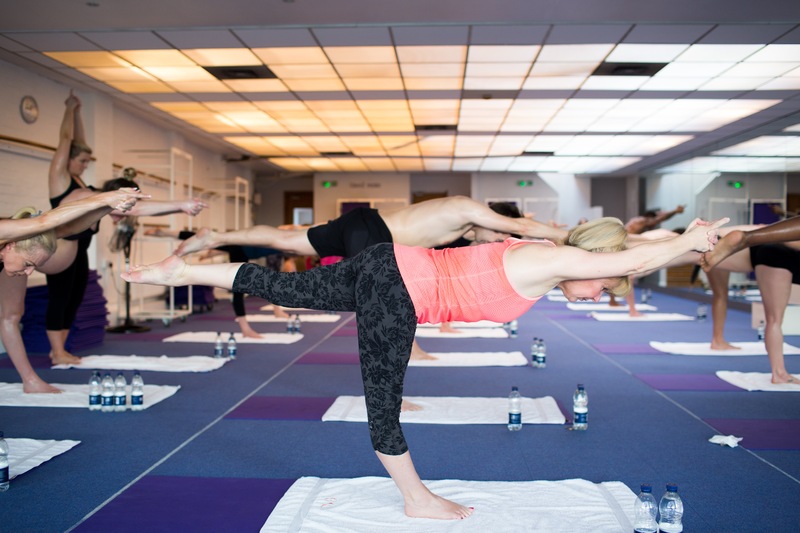 Toe pointed, leg up, chest down, stretch forward, stretch back, stretch and stretch and stretch and …..
Inhale, move your upper body up, arms still engaged and pressed against the side of the head. Move your left leg back down to the place next to the right. Keep everything engaged, arms, legs, core, until your are back to your starting upright position, ready to move straight to the other side. After the posture embrace the feeling of your heart pounding in your chest. Lengthen your exhales. This is a small but mighty posture and is doing awesome things for your body. Increases cardiovascular circulation, especially to heart’s blood vessels. May help clear blocked arteries. May help prevent future cardiac problems. Creates a total spine stretch, relieving stress from spine. Exercises pancreas, spleen, liver, nervous and circulatory system.